As a business, it is essential to have streamlined branding across all of your social media channels. Not only does this help with your brand recognition, but it also makes it easier for people to find you in their search. You may have consistency across other aspects of your digital marketing like using the same social media handles, contact information, and website URL. By far, the most important thing to keep consistent is your profile photo. Since people are very visual, this will be the first indicator that they landed on the right page. Most businesses rely on their logo to fill in the profile photo. However, this often is not the best approach! Even though this is the best way to get that brand recognition across all your online channels, we usually find that a logo does not work best as a social media profile photo. 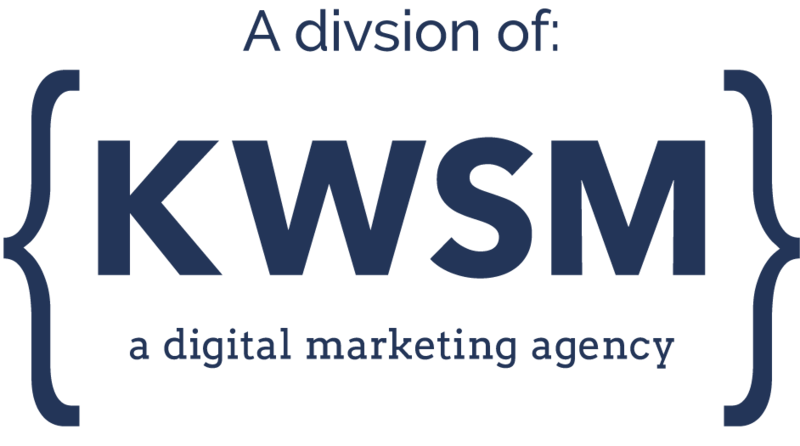 At KWSM: a digital marketing agency, we typically need to slightly redesign the logo to make it a good profile photo. 3 Ways Your Logo is Different From Your Social Media Profile Photo. 1. Profile Photos Restrict the Shape. Almost all social media channels allow you a circle to put your profile photo. You need to adjust your logo such that it fits in that format without getting cut off. If you have a very long, horizontal logo, you may need to bring in a designer to make a vertical version. Better yet, have your designer mockup an icon that can be representative of your business so that you are not using your company name in the logo. 2. Including Your Company Name is Redundant in a Profile Photo. Whenever a person sees your profile photo on social media, your profile name will be directly next to it. Consider removing your company name from the profile photo to avoid being redundant. 3. Profile Photos Are Better Without Text. You need to consider the fact that most people see your social media channel on their phone. When the profile picture appears in this person’s newsfeed, most logos with words become illegible. Be sure to check how your logo will look on a mobile device and determine the best look for your profile photo. We usually find that choosing an icon representative of your brand is best. Bonus: Consider Making Your Profile Photo a Real Person. On some social media channels, using a photo of a real person is the best option to get people to engage with your company. This is especially true for small businesses. If you are the owner-operator of your business and your face means anything to your customers or clients, consider using your photo. People use social media to form connections with others – representing you, as a real person is friendlier and more authentic. While you are educating your audience about your business, you are also letting them get to know you as a business owner. KWSM: a digital marketing agency has a full team of designers who will be able to help you design the perfect profile photo for your business. While we are at it, we can also create a custom cover photo for every channel to ensure you are looking the best you can be across all your social media channels. 58% of consumers interact with brands on social media about one to three times per day. Do you need to start marketing your company on social media, but aren’t sure how to get started? Or maybe you’ve been posting content, but can’t seem to get the results you want. CLICK HERE to schedule a complimentary 30-minute digital marketing audit.